Operating a swimming pool, spa or water feature without an automated controller is like operating your home heating system without a thermostat. Constantly turning your heater on and off manually is unthinkable. Yet, the majority of swimming pools and spas do exactly that when it comes to water chemistry. 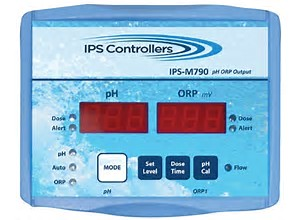 Chemical controllers are designed to keep chemicals balanced and water clean and clear with the push of a button. An automated controller continuously samples the water and feeds chemicals based on demand. Our advanced technology takes care of the chemical science for you by automatically monitoring, adjusting and dispensing the correct amount of chemicals based on user demand, ensuring optimal sanitizer levels for any pool or spa. Aside from the obvious water health benefits, chemical automation also is a cost saving investment. A system will usually pay for itself in chemical savings alone in just over a year. However, it is not just the short-term savings in chemical costs, but the long-term savings as well. Maintaining consistent, accurate chemical levels will reduce water and chemical waste and help increase the life of your pool and spa systems. A web-based management system allows you to check in on the real-time chemical control activity for all your pools and spas, using your smart phone or tablet. Perfect Match for Residential Pools and Spas, And Ideal for Salt-Treated Pools. 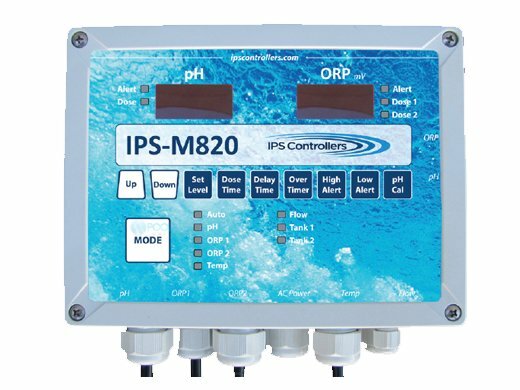 Providing automated control of pH, the M770 is compatible with all sanitizing methods, including liquid, tablets, granular, and salt chlorine generators and can be used with Muriatic Acid or CO2. For pools operating with salt chlorine generators which can create a high pH environment, the M770 is an ideal complement to keep the pH levels in line. Quick and simple to operate with push button technology. Aqua Pearl Pools will install and custom program to fit your unique needs including your pool schedule and environment. Then we provide training so your personnel can take advantage of full array of features. All controllers are proudly made in the USA and backed by a 5-year limited warranty. Any technical support or training you need is just a phone call away.